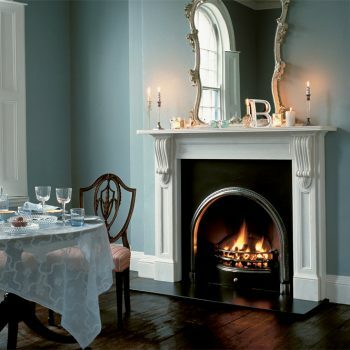 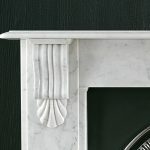 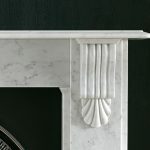 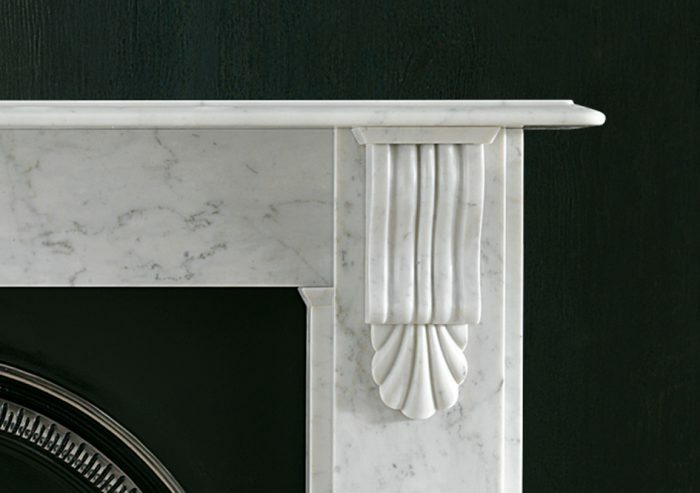 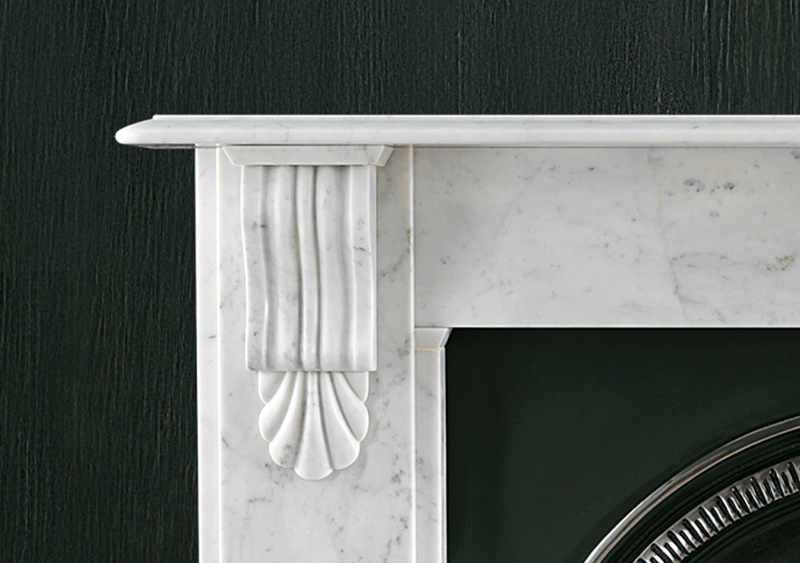 A late 19th century style marble surround with carved corbels supporting the bevelled edged shelf. 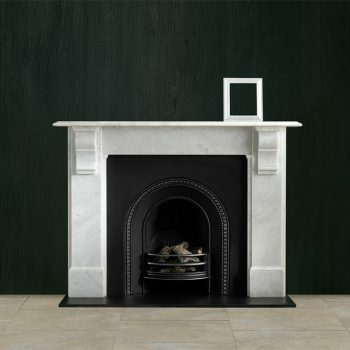 Standard production material is white marble. 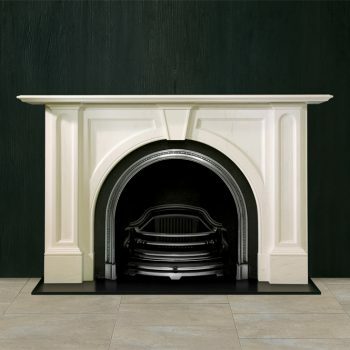 Also available in limestone. 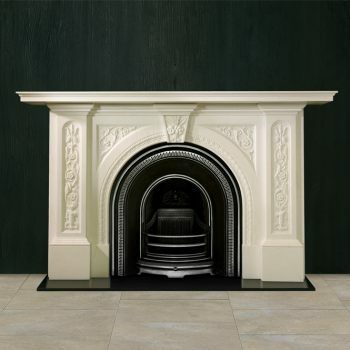 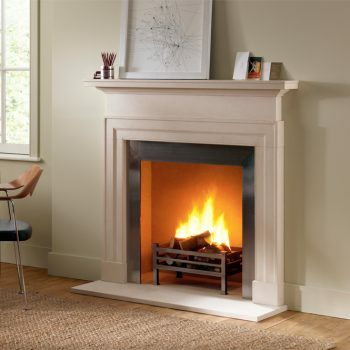 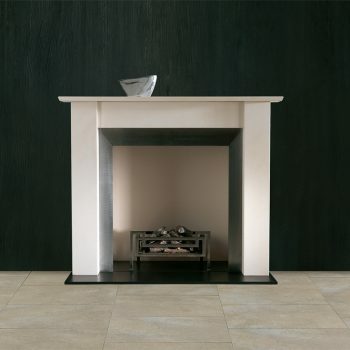 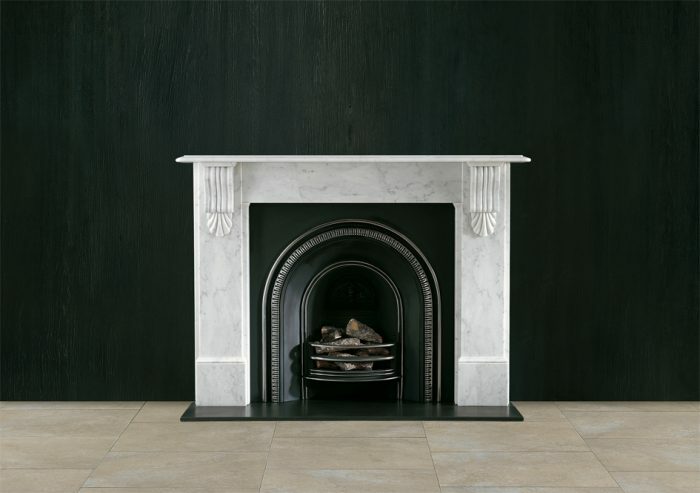 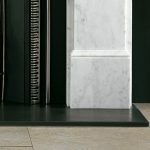 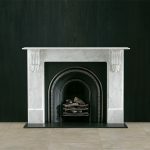 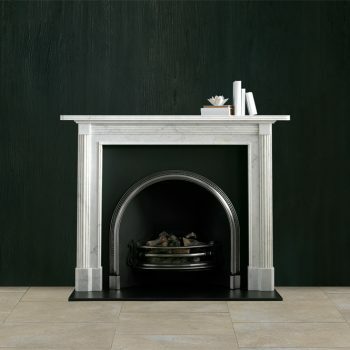 Image shows the surround in Carrara marble, available as a special order. 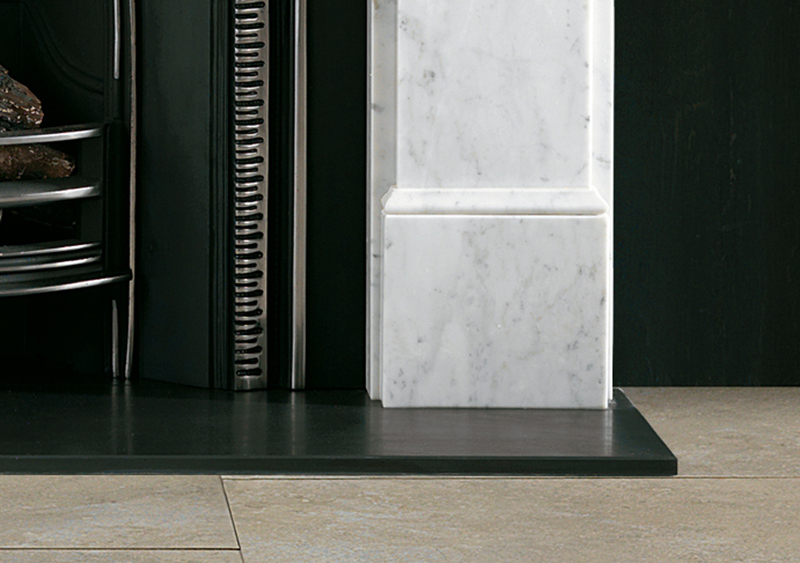 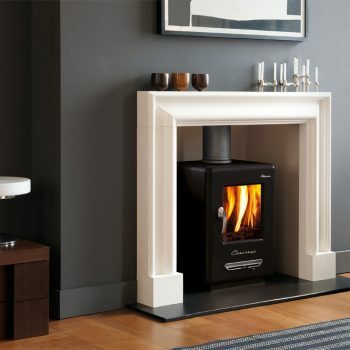 Shown with the Britton No 3 register grate and black slate hearth.